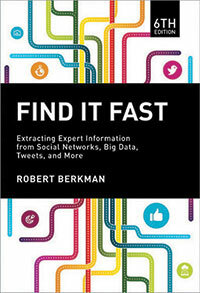 One of the sources I suggested is Find It Fast: Extracting Expert Information from Social Networks, Big Data, Tweets, and More, 6th edition, by Robert Berkman. 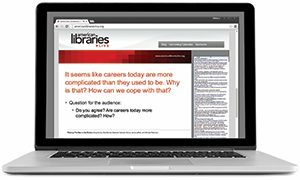 While intended for the business searcher, the chapters on sources, searching, and experts confirm and expand upon what you may know intuitively. Starting with structuring the search, Berkman moves through some of the best sites for accessing statistics and reaching into the deep web for hard data. He also explains why a library’s print resources may still be the best sources. 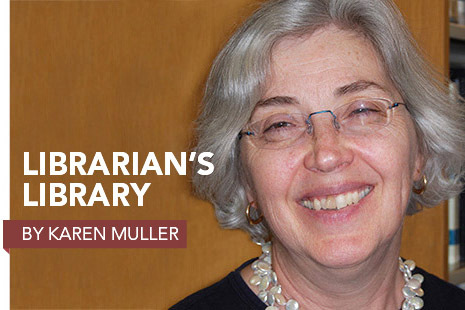 Although he references now-discontinued print indexes, librarians will be able to mediate the online versions effectively. After reviewing how search engines were developed, offering strategies for using them better, and analyzing what types of information are available through social media tools, Berkman discusses credibility in a chapter wonderfully titled “Truth, Lies, and Influence.” Finally, he provides an annotated bibliography with more in-depth materials on seeking knowledge in the digital age. Information Today, 2015. 336 p. $24.95. PBK. 978-1-9372-9004-7. 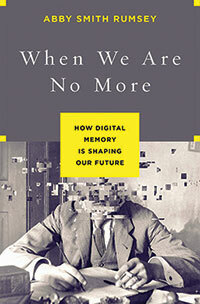 When We Are No More: How Digital Memory Is Shaping Our Future, by Abby Smith Rumsey, may well end up in Berkman’s bibliography in the next edition. Rumsey is a historian with a broad perspective on human efforts through the ages to record memories for the future, whether through cave paintings, cuneiform tablets, books, or websites. 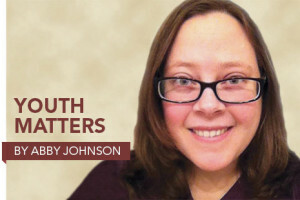 Humankind has developed many ways to capture information. Whenever that information threatens to overwhelm us, we invent libraries, archives, museums, and other means to be its repositories. 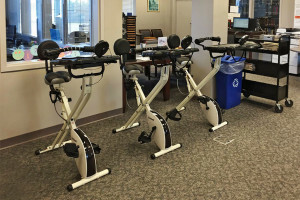 Rumsey references past efforts to grapple with the accelerated pace of information: more libraries after the invention of printing, scholarly journals when scholarly inquiry expanded, and indexing systems—first in paper, then databases—for both scholarly journals and periodical literature. With digital memory we are again overwhelmed, but we need to reinvent how to preserve it, whether it’s the calendar in a smartphone or a web-based archive. The internet is constantly changing—the average life of a web page before it changes or disappears entirely is a mere 100 days. How much of the digital past must be kept and whether there is value in forgetting are just two of the complex threads woven through this narrative. Bloomsbury Press, 2016. 240 p. $28. PBK. 978-1-6204-0802-5. Standards underlie the systems we have to preserve knowledge, from electrical standards that define the shape of a computer’s plug to data coding standards. 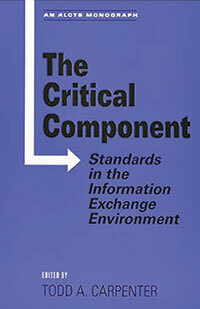 The Critical Component: Standards in the Information Exchange Environment, edited by Todd A. Carpenter, includes chapters on specific standards and their histories, some with case studies. The book covers standard numbers (ISBNs and DOIs), bibliographic standards (RDA and Dublin Core), and digital preservation standards (Trustworthy Repositories Audit and Certification), all with the ultimate goal of promoting interoperability. It also includes clear explanations of how standards are developed and maintained as well as discussion of how the development of one standard may force another to evolve. ALCTS, 2015. 312 p. $71. PBK. 978-0-8389-8744-5. 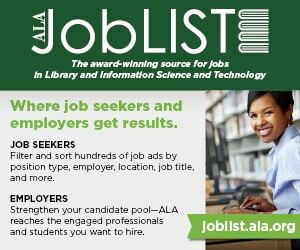 These standards as applied, along with the addition of metadata, make web content accessible to us through search engines. 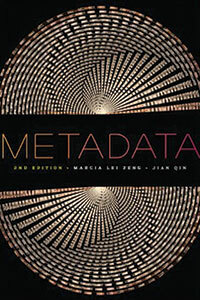 Metadata, 2nd edition, by Marcia Lei Zeng and Jian Qin, is a comprehensive examination of metadata schema. Metadata has been defined as the “structured, encoded data that describe[s] characteristics of information-bearing entities,” and it aids in the identification, discovery, assessment, and management of objects in memory institutions, libraries, archives, and museums. Using metadata well is critical to transmitting knowledge in the digital world. The authors have substantially expanded the earlier edition of this textbook. Coverage includes laying out the fundamentals of metadata, examining underlying principles and structures, and offering a detailed look at metadata structures and semantics. The authors review metadata services such as infrastructure, registries, and linked data and look at ways to measure the metadata quality. The last two sections cover metadata research landscape and standards. ALA Editions, 2016. 584 p. $84. PBK. 978-1-55570-965-5.